New York – There are singers and there are singers. Lipa Schmeltzer is not just another singer. Case in point: Lipa’s newest release, which contains no audio whatsoever. 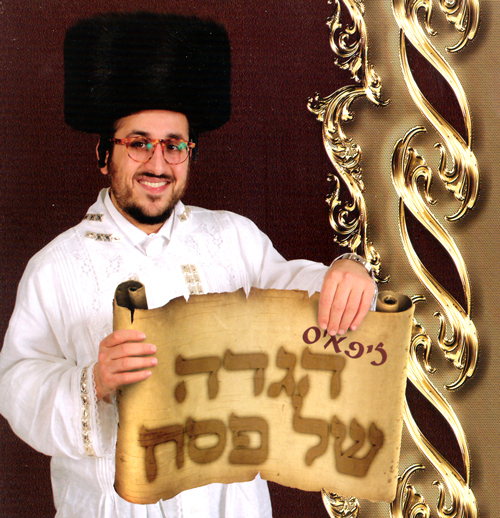 Entitled Lipa’s Hagada, this full color, laminted, hard covered Hagada, has stunning photos of Lipa Schmeltzer as he takes you through the Pesach Seder, Lipa style. Instead of complicated commentaries, his varying facial expressions convey the emotions that comprise the Pesach Seder, making the nuances of this pivotal night accessible to anyone of any age. With this, Lipa’s latest venture, the Chassidic superstar is marketing himself in a way that no Jewish singer has ever done before. It took time to find a product that would be easily accepted by the mainstream market, yet still retain that Lipa-esque flair that has become the trademark of this beloved singer. It was this past January that Lipa decided to do a book. Three nights before the January 10th HASC concert, Lipa returned from a trip to Eretz Yisroel to find that his dining room had been transformed into a mock Pesach Seder. The photo shoot took place that very night and the rest of the Hagada was pulled together the following week. The result? 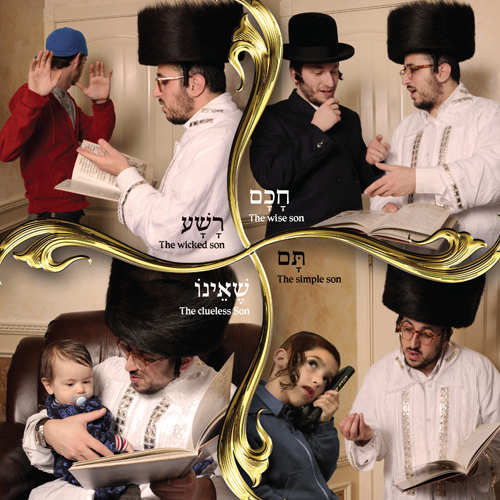 A Pesach hagada that is a visual delight, sure to entertain young and old alike. doing clothing and eyewear lines. Will swirling multi-colored bekeshes appear in heimishe menswear stores? Will distinctive rainbow hued eyeglasses be featured at our local opticians? Lipa declined to offer any more details when pressed for details on future product lines, but promised to continue to keep on delighting his fans in new and varied ways. Interview was filmed in Plaza Dining, Brooklyn NY.